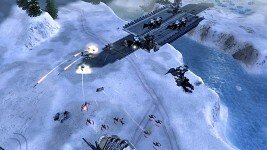 Tiberian Sun Rising is a total conversion modification for Command & Conquer 3: Tiberium Wars, which see's the return of the Global Defense Initiative and the Brotherhood of Nod battling it out during the the Second Tiberum War! retelling Tiberian Sun like never before. A Whole New Tiberian Sun! 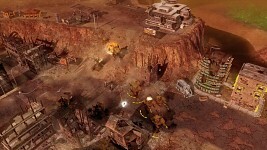 Not just a remake, but Tiberian Sun Rising is the next evolution of Tiberian Sun! It's time you saw the future, while you still have human eyes! 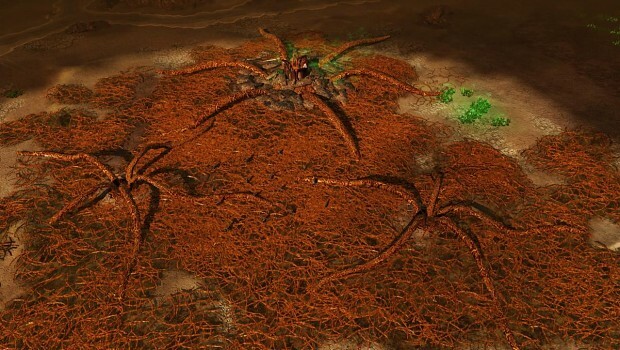 Having been redesigned from the ground up to include all the things you love from Tiberian Sun, with new features, abilities, units and gameplay better than ever. We take the mindset that this is the first time Tiberian Sun is being made as an original game as a design concept/mindset for our development. This mod will include the additions made in the expansion Firestorm as well they will make a return with a new spin. 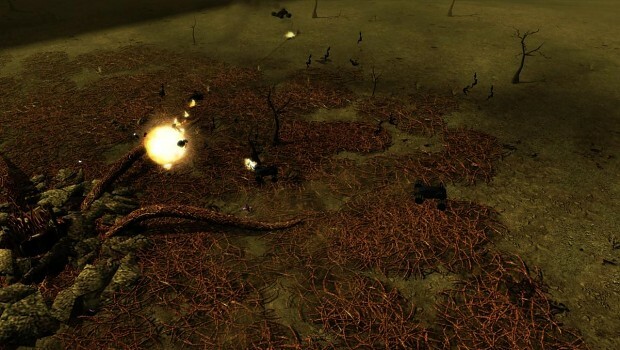 This mod promise's to do a lot and we'll be bringing back the thing's you love from Tiberian Sun-like. Stealth technology, Real Tiberium, Subtterain Units the Firestorm Defense system and more! 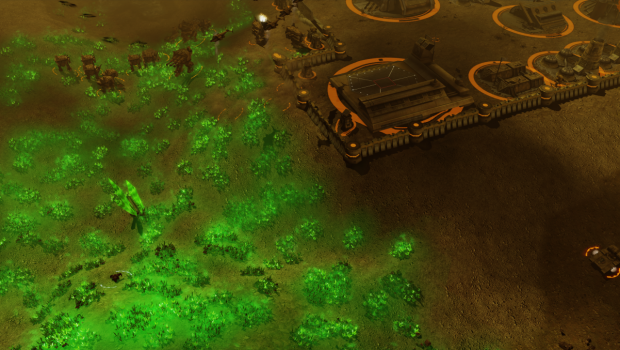 One of the most exciting feature's we'll be including is a dynamic growing Tiberium environment which mutates the battlefield as it spreads! You could start on a map with not much tiberium at all, and finish the battle with Vein Holes, Ion Storms and more all occurring! So watch out! Remember to Like our Facebook page, follow our new YouTube channel and of course follow us on Twitter at @TibsunRising to stay on top of our latest updates. Tiberian Sun Rising - We made Top 100! - Its time you saw the Future! Thank you for your support we made Top 100! Thank you so much for your incredible support we made the Top 100 Unreleased Mods for 2018 and if you love our latest updates and the Tiberium Ecosystem please continue to support us to be the top Mod of the Year in the Unreleased category. We promise we are working hard to get a release to you as you can see the quality has been very important to us not just visually but the atmosphere and getting Tiberium behaving just right. In celebration of this milestone, we have more to share with you. Remember to vote for us again to be the Top Unreleased Mod of 2018! It's time you saw the future, While you still have human eyes! In this update, we'd like to show you some new Flora that should look very familiar one could say its a Tiberium "Firestorm" :). GDI and Nod continue to fight around the globe as Tiberium spreads and increases its hostility it has not slowed the war between the two global superpowers. Vote Tiberian Sun Rising for Mod of the Year! 2018! We made the top 100! Now vote for us again to support us for Top Unreleased Mod of 2018! 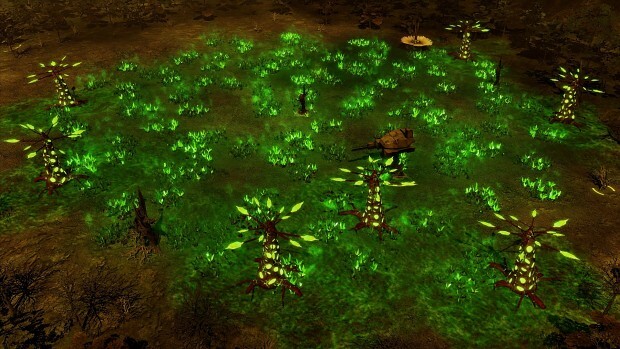 Tiberium is taking over and is truly a menace on the battlefield as it spreads it mutates organic matter it comes in contact with sprouting up Tiberium Flora, crystal formations and other lifeforms which are truly terrifying in their aggressiveness. Veinhole Monsters have been observed to form and grow in size, GDI Scientists are still unclear what is causing Veinhole Monsters to form. But Commanders are warned to be prepared for the sudden emergence of Veinhole Monsters if the right conditions present themselves. Once fully grown they become the terrifyingly powerful Adult Veinhole Monster seen in the top center. The Adult Veinholes Tentacles observed attacking Nod Vehicles that have gotten too close to the creature. Veinholes are more dangerous than ever be careful approaching them. Tiberian Sun Rising - "The World is Transforming Itself"
Tiberian Sun Rising - 5th Best Upcoming Mod 2017 - Happy New Year! As a thank you to all our fans and supporters we present to you a collection of exclusive TSR avatars for your use. How does development on the good old cyborg commando fair? then its NOT OK!!! GET BACK HERE FAST! 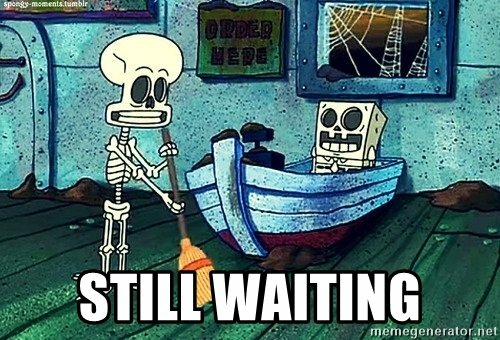 While I'd love to see an official beta release as well, I understand why they haven't done so yet. I speculate that a few very important key features and assets are still missing, which the team would like to implement first before doing any kind of release. Over the last 12 years, I've seen both sides of the modding community, being part of modding teams and being a follower of certain mods. And while there may not be any updates for some time, modding teams usually work on their mods as much as their free time allows them to, so that they have something interesting to show to their followers.